Get ready for some exciting opportunities! The Pro Sawyer Network has two participation options, and the membership is free. You can choose one option or both on the application below. The Pro Sawyer Network will phase out our previous "Custom Cutting" and "Demo Credit" programs. 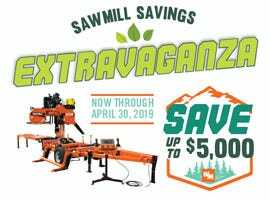 If you have a sawing business, Wood-Mizer can send you new customers! Members of the Pro Sawyer Network will be on our list of sawing businesses we recommend to people who call in or contact us through our website to find a local sawing service. Being a member of the Pro Sawyer Network will bring more customers to your business, and help you stand out from local competition. Do you like showing off your sawmill? Turn your passion into credit dollars! *Wood-Mizer reserves the right to approve or disapprove any application at our discretion. 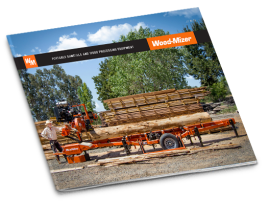 Wood-Mizer reserves the right to suspend membership at any time. Approved Members Will Receive Pro Sawyer Network hat Pro Sawyer Network coffee mug Membership Handbook Additional materials and resources for program success Take a few minutes to complete the membership application. Complete EACH field. If not applicable to you, please type, "N/A"